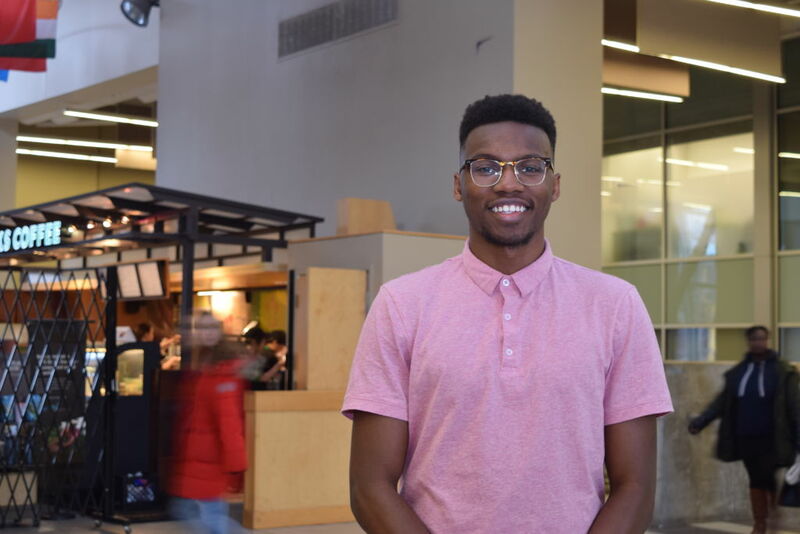 David Oladejo was the only candidate for the CUSA presidency in a general election held last month, but didn’t win after voters selected the “no confidence” option instead. He says he will run again in a byelection called to fill the position. After a controversial general election last month that saw several candidates run unopposed for executive positions, the Carleton University Student Association has changed its electoral rules to prevent another election from going awry. CUSA council passed several amendments on Feb. 27 to its electoral process, aiming to refine communication about elections and improve opportunity for competition. At the same time, council dropped the writ for a March 21-22 byelection that will seek to fill three executive positions and six council positions left open after the original vote. The three executive candidates still ended up losing because voters, annoyed by the lack of competition, instead selected the “no confidence” option on their ballots. “If students don’t feel completely confident in the person’s abilities, or they don’t feel confident in the process, then they have that option,” says David Oladejo, the candidate for president, in an interview. While he was disappointed with the result, he believes students voted no confidence in the process, not in him. He’s looking forward to running again, he adds. He put forward two motions at CUSA council, which both passed, to improve the process for future elections, including this byelection. One motion seeks to increase awareness by sending a mass email to all students, as well as publish notices on the student portal; cuLearn. The other motion increases the time between the writ dropping and the nomination period beginning from 48 hours to seven days. Therefore, Carleton students wishing to run have more time to prepare for nomination. Cameron Wales, a public affairs and policy management student who sits on CUSA council, also made a motion to establish a committee to review each future CUSA election. Wales says before his motion was adopted, there had been no formal process for council to review its elections. This way, there will be a system in place to sort out issues and improve the process. He says that while there are a host of reasons for why the general election turned out the way it did, one likely reason for the lack of candidates was simply low awareness. But, he adds that CUSA learned a lesson it won’t soon forget. – The nomination period is now three days instead of two. – Fixed election days will be introduced. – There is now a deadline to hire the chief electoral officer and deputies by Nov. 30 each year (they were hired in January this year). Unofficial byelection results are expected on the night of March 22 and official results will be declared ten days after. The winners of that vote will take office for a new term of council May 1.